Regret is such a negative word and is something that no one really wants to face. Yet everyday we commit mistakes, both big and small, that we end up regretting. Some regrets, however, are bigger than others, having the potential to destroy our happiness and that of other people. 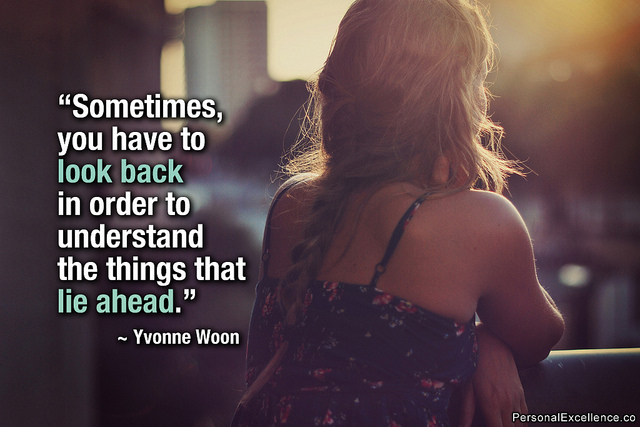 If you’ve done some things in the past that you can’t get over with, this post is for you. Know that you CAN still live a happy life even with so much baggage. You don’t have to erase your past, you only need to learn to live with it. So how can you live happily even if you have regrets? 1. Acknowledge your regrets – A lot of people I know seem to think that admitting to regretting their decisions is akin to admitting failure in life. Instead of acknowledging the fact that they have done some (or many) things in the past that they truly regret now, they instead insist that they are happy now and that it’s all that counts. While it is true that living in the now is important and dwelling on the past is not something you should do, the inability to admit your mistakes and acknowledging the resulting regrets is a sign that you are not honest with yourself and that you haven’t truly learned the lessons you need to to learn from those mistakes. Everyone has done something or acted in a way that they later on regretted. Acknowledging this fact is the first step to being true to yourself and to living a life of happiness and dignity. 2. Find the real source of regret – You may feel regret and acknowledge the feeling, but do you really know what it is you regret? 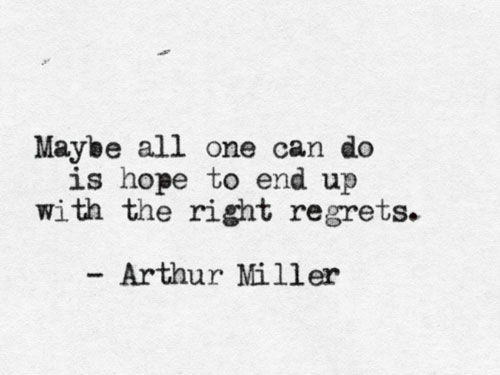 Do you really regret the decision you made or simply the fall out of that decision? Is the resulting regret due to a breach of your own moral compass or because of the backlash that is called societal disapproval? Understanding what it is that is causing you to feel regret can free you from unnecessary negative emotions like guilt, bewilderment, and helplessness. It will also show you what you can and need to learn, and provide a basis for your future decisions. By identifying the true source of your regret, you empower yourself to make better choices in the future. 3. Learn from them – The origin of the quote below may be in question*, but it’s truth stays the same. Acknowledging your mistakes and feeling regret is of no use if you don’t learn your lesson. Of course, if you’re like me, you’ll probably repeat a lot of your mistakes more times than you’d care to remember, but hopefully you’ll eventually learn them before they pile up to the point where finding peace could a near impossibility. 4. Move on – Moving on is essential if you are to find happiness. Knowing that you have regrets and being swallowed by them are two different things. So learn from your past, but live for today and make the most of it. Be thankful for what you have now and what your ARE now and fully embrace what today has to offer. Make smarter choices in the future, remembering that each decision has a consequence and that life is not black and white. And as you go on with your life, you’ll hopefully choose the options that come with regrets that you can live with and live HAPPILY with at that. As I said at the start of this post, you don’t have to erase your past, but instead of simply living with it, do yourself one better by rewriting your story today. 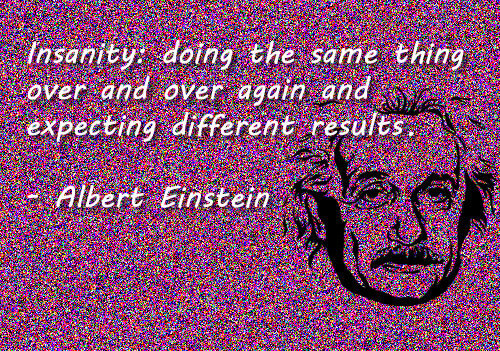 * The quote on insanity has been attributed to Albert Einstein, Rita Mae Brown, Benjamin Franklin and as Chinese proverb. Say What You Need to Say. Here.